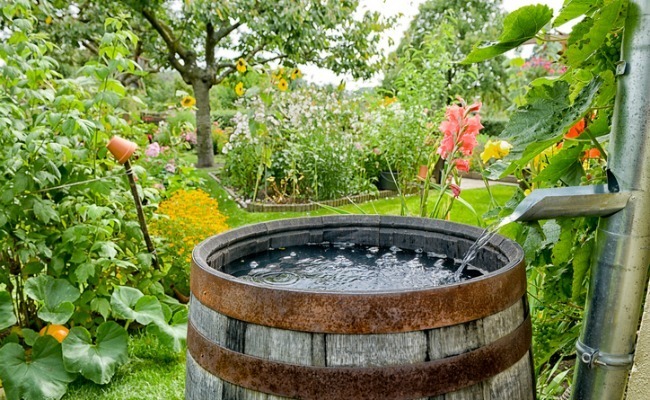 Collecting your own rainwater is an excellent way to conserve this precious resource. A basic rainwater collection system catches rainwater from your roof or other surface and channels it into a container for storage. Rainwater itself is generally clean, but it can pick up microorganisms, pollutants and debris when it hits your roof. This is why systems for rainwater use inside your home often include filtration or other treatments for safety. Outdoor rainwater collection systems don’t need as much treatment because the water is typically used outside. One of the easiest rain collectors to make is a repurposed old garbage can. Whereas, you can install a rainwater cistern if you want a larger system. There are many different uses for collected rainwater no matter what type of rainwater harvesting system you have.